This ‘Thank you’ letter is one of countless letters and envelopes Myrna was commissioned for, before she took even one calligraphy class. 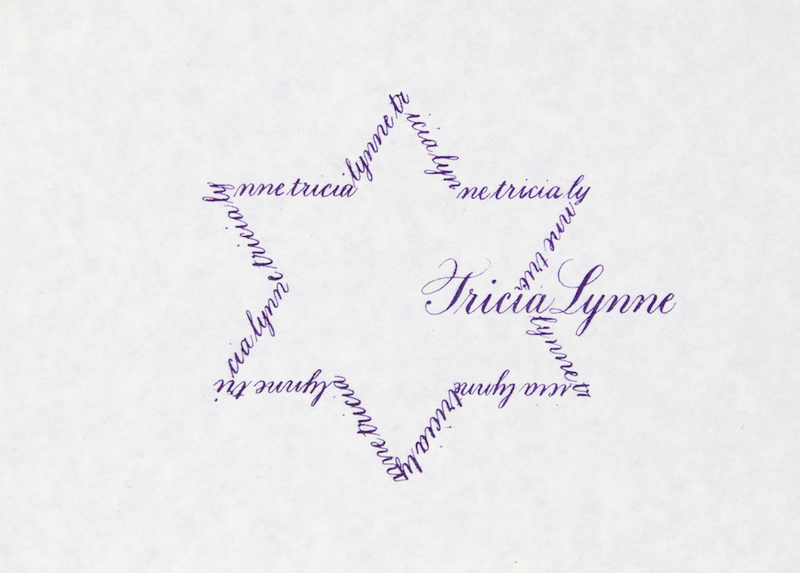 This invitation thanked attendees of her niece’s Bat Mitzvah. Myrna still has a unused package of these invitations.